5 Responses to Random Panel: Super-mothering-skills GO! But Moooom! It smells really BAD! And I don’t want no juicy crud on my new Timberlands! 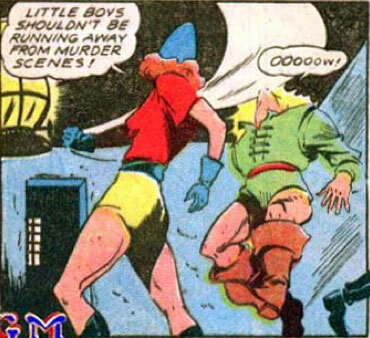 Wait, so little boys should just stay at murder scenes? Wouldn’t that be dangerous? Walk away from murder scenes. And put those scissors down. Don’t you roll your eyes at me, young man, or I’ll put you over my knee.